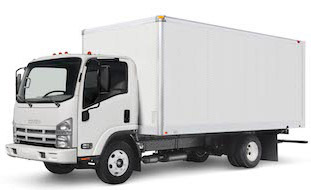 We Are Highly-rated moving company in Malibu. Malibu, California is one of the most beautiful and livable places on earth. This is why it’s the preferred home of so many celebrities and VIPs. If you want to experience the pleasures of life, you may be interested in relocating to the area. We are here to offer you the professional services that you want. Our services are priced very competitively and we have a PUC license. When you choose us, you’ll get the support that you need. We’ll be there to take care of the hard work so that you can relax and prepare for your new life. We’ll also help you if you want to move away from here. One of Best professional moving companies in Malibu. The easiest way to get the ball rolling is to call or email our team today. Company’s experts will be able to recommend a moving package which is perfect for your needs and then provide you with a fast, easy quote. We’ve been doing this for years and we have the right equipment and training. So, why not connect with us today? It is a very popular small city (only 13,000), which has become famous mostly through TV serials, Mediterranean climate and its beaches. It is a narrow and elongated city. From one side it is surrounded by high mountains, and on the other, it is washed by the ocean. Much of the coast is rocky, which gives the place a special flavor. However, it is difficult often to get to Malibu Coast as everything around it is built up with houses and hotels. Dry and warm summer and mild winter attract tourists and new inhabitants of the city. Malibu is the place, where many Hollywood stars live in luxurious houses and the income of male population is over $100,000 annually. A lot of people here work in tourism, 27% in the area rent houses. Our Malibu movers are professionals, who respect people. They work with “average” clients and they have clients among celebrities. In any case, they do what they have to do: fast, safe and with no risk to client or his cargo move his belongings to a new place. Each time our professionals come to you to work, they know: your cargo is insured. Insurance means much here, as often storms happen in this area, terrain is unstable, seasonal rains also take place. Our professional movers never stop working even when the weather conditions are difficult. However, under Force Majeure circumstances the customer, the company may agree to postpone the day of the move. Workers take care about your stuff the way they would deal with their own things. Working in Malibu, our professionals deal often with very precise clients. Our company offers several options to different clients. If you move from a small studio, two guys and a truck will be enough in your case. Sometimes we help people relocating from huge homes and 2-3 storey houses to relocate to their new house. Then two trucks and more guys will come to you to work. Malibu is a very small city, and many of its inhabitants know each other well. Even if they witness some unpleasant situations, they never share this information with the others. Rumors and the work of our movers are two incompatible things. The movers’ team does their work professionally. Besides packing your belongings, disassembling huge furniture pieces and loading the company trucks, they are always ready to support you morally. Malibu movers are excellent professionals. They work with people , and each time they feel, when a joke can relax you. They also feel the moments, when funny quotes are not appropriate. They follow the situation and protect your cargo during the move, caring about your mood as well. Choosing our company and Malibu movers, you will come to a new place of your living, being in a good mood. Malibu professional moving service.